Watch Dr. Stephen Schumacher, DVM, explain how to navigate the USEF Drugs and Medications rules and why it’s so important for every equestrian who is planning to participate in USEF-licensed competitions to understand them. The US Equestrian (USEF) Drugs and Medications rules exist to protect the welfare of the horse as well as to ensure a fair and level playing field for competitors. It is vital for all equestrians to understand how these regulations may affect them and their horses long before stepping foot in the show arena. Dr. Stephen Schumacher, DVM, chief administrator of USEF’s Equine Drugs and Medications Program, discusses the differences between Permitted, Forbidden (now referred to as Prohibited), and Restricted medications; use of common medications and supplements in treating horses; understanding therapeutic versus non-therapeutic situations; and the importance of working carefully and closely with your veterinarian to understand and remain in compliance with USEF rules. Dr. Stephen Schumacher, DVM is the Chief Administrator of Testing Programs for the US Equestrian (USEF) Drugs and Medications Program. 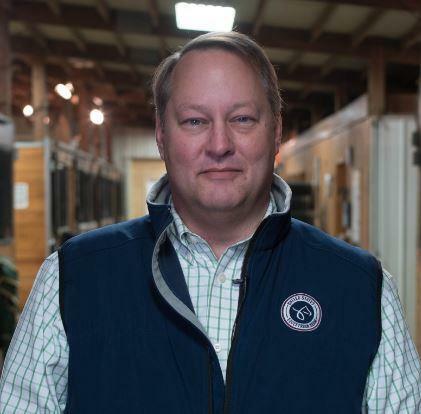 Dr. Schumacher has been with the USEF Equine Drugs and Medications Program for two decades, working first as a Testing Technician and then as a Testing Veterinarian, prior to assuming the Chief Administrator position. Dr. Schumacher has also served as a member of the FEI Veterinary Committee and the FEI List Group. He oversaw equine drug testing at the 2010 Alltech FEI World Equestrian Games in Lexington, Ky.
Dr. Schumacher graduated from The Citadel, The Military College of South Carolina before earning his veterinary degree from Ohio State University’s College of Veterinary Medicine.